Sinéad O'Connor releases her brand new single ‘8 Good Reasons’, the second single to be taken from her acclaimed new album ‘I'm Not Bossy, I'm The Boss’. ‘8 Good Reasons’ is released via Nettwerk Records on November 17th 2014. 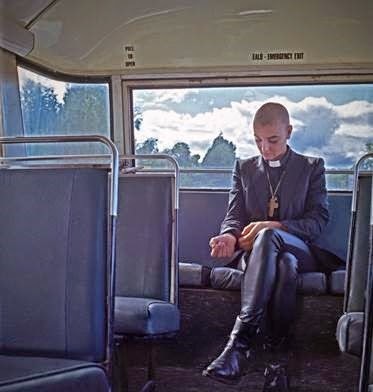 Today Sinead unveils the brand new video for the track, shot on a bus in her home town of Dublin recently. The video shows Sinéad at her most direct and powerful but also shows the redemptive power of the song and the joy of the lyric. ‘8 Good Reasons’ is an emotive and beautiful song that represents the very best of Sinéad's songwriting, her ever-powerful and moving vocal set to a gorgeous and uplifting chorus produced by long term collaborator John Reynolds. Watch the full video to ‘8 Good Reasons’ below.